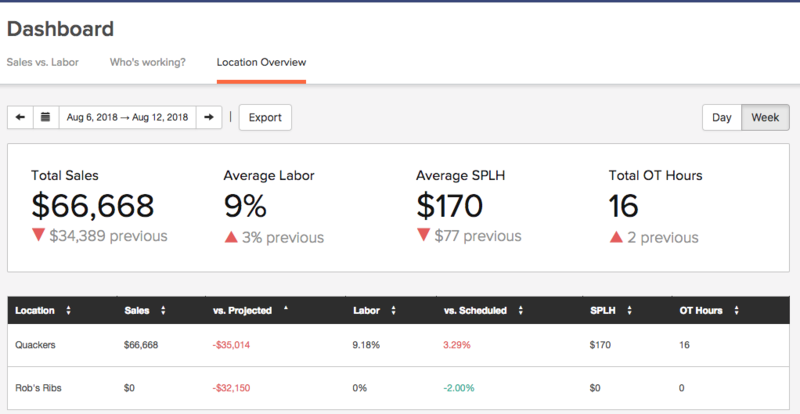 The Location Overview will allow you to view a breakdown of your sales and labor data across all your Locations. By default, in order to access the Location Overview, you will need to be subscribed to our Gourmet Plan. You can view our plans and pricing here.